This week there is one of the most anticipated releases for Xbox 360. Halo 4 hits stores supported by some notable figures and possibly closing the last big releases that will be exclusive to the current Microsoft platform. Maybe that's why, from 343 Industries, developer of the title, and begin to "talk" about the next game in the franchise: Halo 5. We work with prototypes, the history, the future of the universe and also have dealt with technology. So definitely we are working for the future although some technological aspects are still complicated at this point. We have a large number of intelligent people working inside and outside the studio, thinking about technology and the development of the future, of course. Thus continues the tracks on the new Xbox, which initially could reach the market by 2014 . Other information that can be extracted from the interview with O'Connor is the refusal by the time a PC version of Halo 4, it seems that the saga, it is definitely as Xbox 360 exclusive. 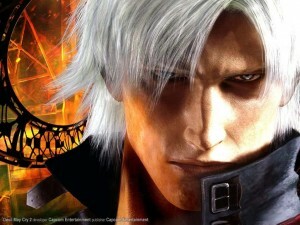 The video game series Devil May Cry originated from the Resident Evil series. In the year 98, after the creation of the video game Resident Evil 2 for PlayStation, Capcom went to work to take forward the third title in the series (the second title began to develop immediately after the sale of the former, but not was entirely satisfactory, so it was developed from scratch, and this attempt failed was sold as a standalone game for the storyline of the series). Well, the initial idea for the third game focused on a European police called Dante, would investigate a castle full of biological experiments with a virus more powerful even than the G virus (that it turns people into zombies in Resident universe Evil). However, the differences from the two previous titles were so abysmal that they decided to create a new series, which over time has earned a place in the genre and has garnered numerous fans. Are features common to both sagas approaches the camera, grotesque enemies (Dante, in the case of DMC), the structure of the levels, bosses, certain combat moves and even the initial notice of "This Game Contains Scenes of Violence and Gore "and the display" You Are Dead "when the character dies. Various environments of the first game based on castles located in Spain. During E3 2012, which took place this past summer in Los Angeles, Microsoft unveiled some new future for the final stretch of his Xbox 360. One of them was called SmartGlass application, which just became a reality and you're available for download from the bazaar Play Google operating system Android . SmartGlass offers complete interaction between our Android smartphone or tablet and menus and various functions of our Xbox 360. The idea is to have a second device GamePad Wii style U, while saving the enormous distances. The application, available for free in the bazaar of Google applications Play, which comes to improving in his day was launched as Xbox Companion and sadly offering a limited number of options to control our console. However, even though Microsoft has tried that can handle the Xbox 360 and Wii U does with his command-tablet, we can not perform at least for now, more fundamental actions as controlling certain games or driving a submenu of these. Anyway compared to what Xbox 360 users had before, SmartGlass opens up a range of possibilities focused once again leaving aside the traditional joystick. Below we detail each and every one of the possibilities offered SmartGlass and we leave you with the direct link to download it free from Google Play. Taking both the Xbox 360 logically as our smartphone or tablet connected to the internet, we can execute and perform actions SmartGlass very disparares as explore the console with the finger touching the screen. The virtual keyboard of our device can be used to write on the Xbox 360, which I appreciate enormously since those who have no keyboard, writing done very slowly with the joystick. You can also surf the internet providing keyboard and full zoom. Another function of SmartGlass makes available the entire catalog of music, video and games from Xbox Live, for which we can make our searches. Those who visualize movies, videos and listen to music on your Xbox 360, will now pause, forward, rewind and pause reproductions from mobile SmartGlass. 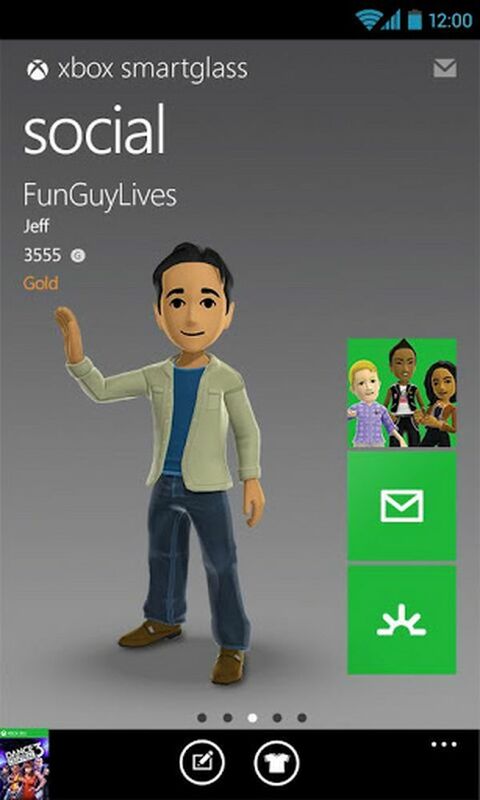 The Xbox Live avatar can be modified and we can continue our achievements and compare them with our friends. Of course once again and using the virtual keyboard, we send messages to our contact Xbox and make changes to your profile. Although Microsoft specifies that the application is compatible with most Android smartphones or tablets, the truth is that they are starting to get the first reports of incompatibilities with terminals even well known and not very old. Hopefully Microsoft will update the program to fix these problems and SmartGlass can reach the most users. Before leaving you with the download link, it should be noted that it is necessary to use SmartGlass Xbox to be subscribed to log on and a device that supports a resolution WVGA or higher. 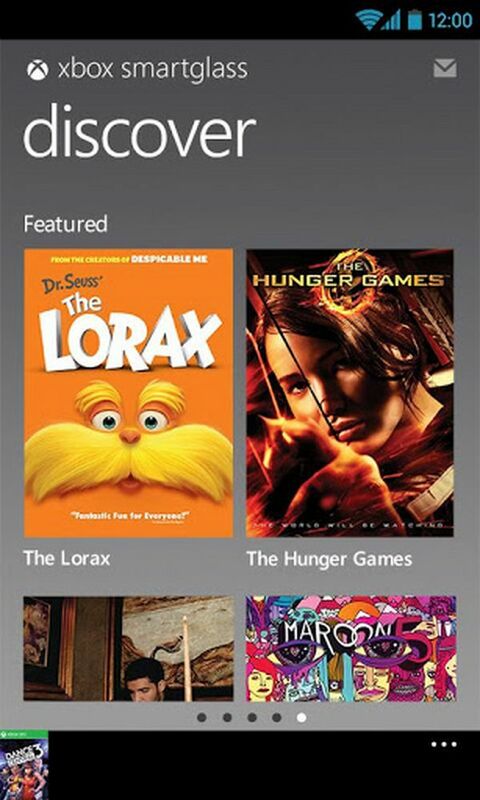 SmartGlass download from Google Play. One of the major drawbacks with many gamers when playing with their smartphones is the lack of physical buttons and using virtual buttons on the touch screen to alleviate this problem, which in most cases unable to convince the user as lacking tact and custom that has the classic console commands. Not all is lost, and this aspect of smartphones and tablets has advanced more than in recent months, especially on Android, which has numerous systems to do with only a USB cable and a small configuration. As main advantages, the use of a control knob allows more intuitive and able to watch the game without losing detail, one of the main problems of playing with virtual buttons on the screen of your device. However, the use of an external control requires the use of cables and connectors, a slight reduction of the battery or if your device does not have a very large screen, but are only minor inconveniences for those looking to play at all costs different titles that support various controls or classic console emulators can find, which will draw more out of this device. There are many types of controls and all serve their purpose, but the controls of Xbox 360 and PlayStation 3 will be the ones best serve their purpose with its two joysticks, four trigger buttons and ergonomic kind. The first problem we see is the connection, do we have an external USB connector? Tablets like Acer Iconia A500 have that advantage and all we need to do is plug the device and play (on button configuration). If instead we have in our tablet or mobile this connector, in most cases we can use a USB On The Go, which by its modest price (about three euros) transform our traditional micro USB connector of our device in a external USB connector so you can connect the remote without problems. 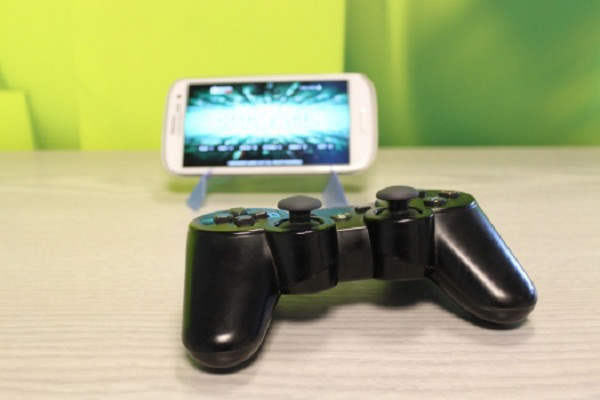 Many commands such as the Xbox 360 or PlayStation 3 can connect through Bluetooth technology, but the use of battery is accentuated and its installation is further complicated. Most of the programs and games that we use and recognize the device and only have qu e "map the buttons" (as explained below), but in other cases will require some application s extra to get it, such as Sixaxis controller, which even allow us to calibrate the joysticks and pressing the buttons. We may also assign different features to make our remote support games that only use the touch screen Touch using Profiles, leading to the control and gameplay have improved visibility what happens in the game. Once connected and recognized our command, the following will assign the buttons, known as "mapping", a process in which we will assign to each action button and, if the number of buttons allows us, add extra special options to improve the gameplay (buttons to minimize or saved game you started quickly be within our reach). Thus, each application that will allow us to external devices through the configuration assign those actions button by button. If not, and having to use any of the applications discussed above, is likely to need to do "root" in our device, otherwise not recognize the device to connect USB. It only remains to test our configuration buttons and enjoy the games that can be found on Google Play with better gameplay, using a peripheral easy to carry and that will become our main tool for all Android games. 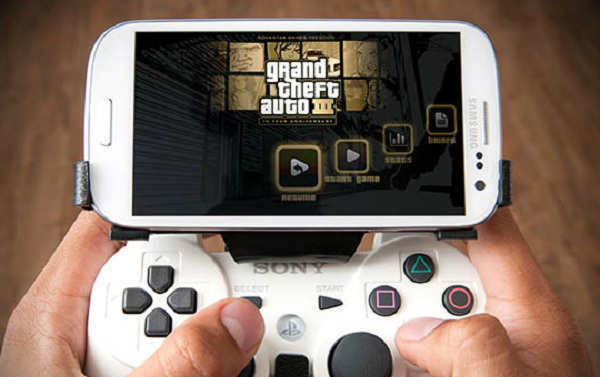 Involves a change in the style of mobile game, little by little, is already gaining strength and most of the online games with virtual buttons and knobs control system (leaving aside the touch control) to thank, especially, the Console gamers or fans of video game peripherals, now feel at home with this type of security.